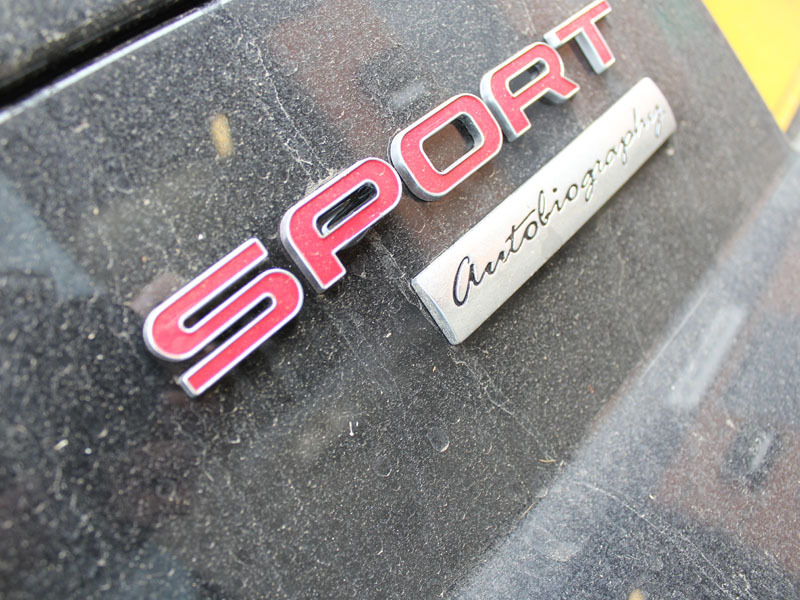 The 2014 Range Rover Sport Autobiography – the perfect fusion of sports performance and premier luxury. 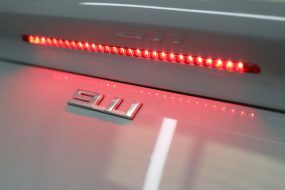 The new, lighter aluminium chassis means it will beat most of its rivals in a straight line and adaptive dampeners gives the handling a level of responsiveness unexpected in a large, two-tonne SUV. However, it is still a Range Rover so boasts Terrain Response system which raises the ride height 65mm – so it clears most obstacles and has true Range Rover off-road capability. 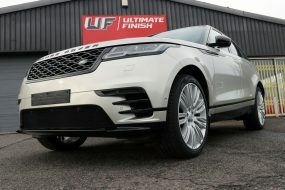 This Range Rover Sport 4.4L V8 Autobiography arrived at the Ultimate Detailing Studio for a New Car Protection Treatment. To start with the whole car was sprayed with Bilt-Hamber Korrosol to remove any inorganic contamination it had collected en route to the studio. 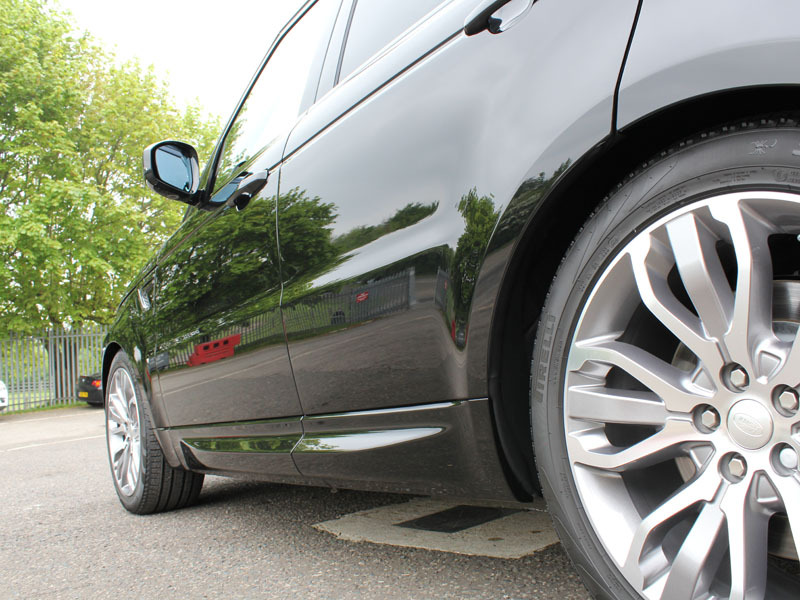 The wheels were also treated with Korrosol prior to being washed using Valet PRO Bilberry Wheel Cleaner. To get between the spokes of the alloy wheels UF Wheel Woolies were used. Then the car was rinsed off. 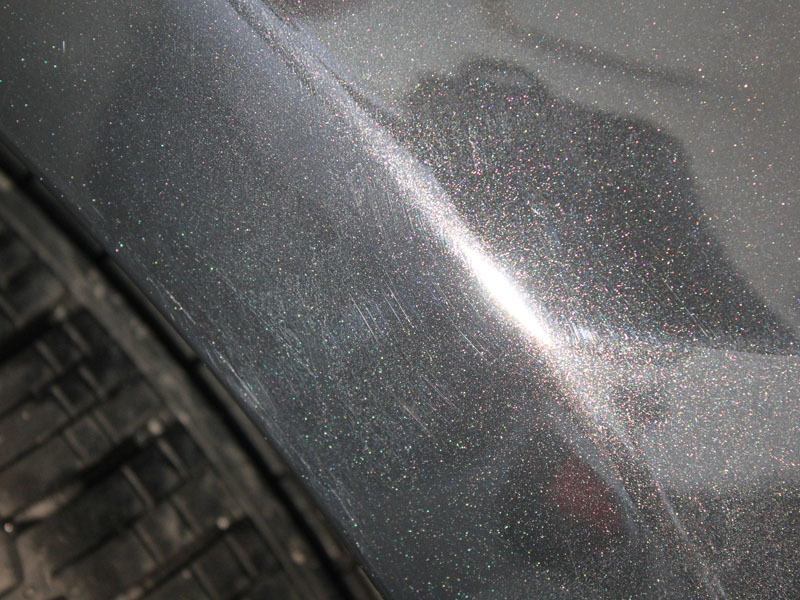 Next, the car was sprayed with Bilt-Hamber Surfex HD to remove any oily residues and then rinsed. 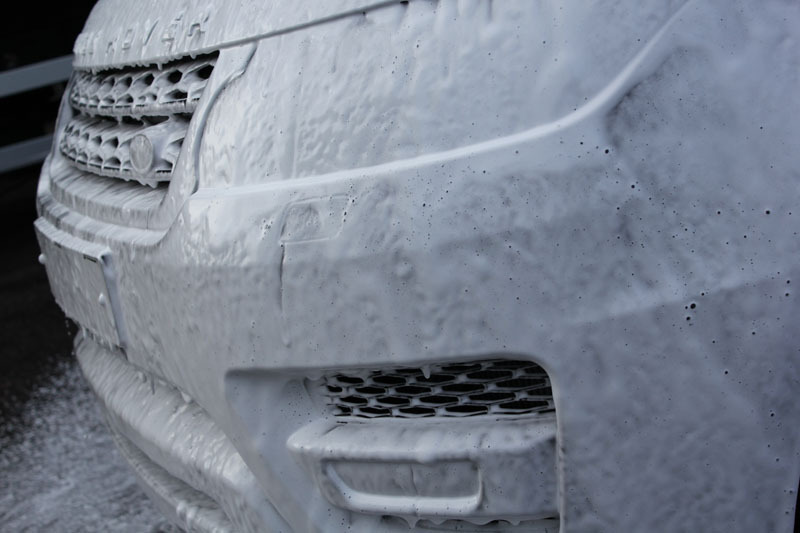 Then Ultimate Snow Foam was applied to remove any remaining larger particles of dirt which may inadvertently scratch the black paintwork during the wash process. With the degreasing and pre-wash steps completed, the Range Rover was then washed thoroughly with Gtechniq G-Wash and a Microfibre Madness Incredimitt using the Two Bucket Method to prevent cross-contaminating the wash water with dirty rinse water. This is a preventative measure against incurring scratches and swirls during the wash process. 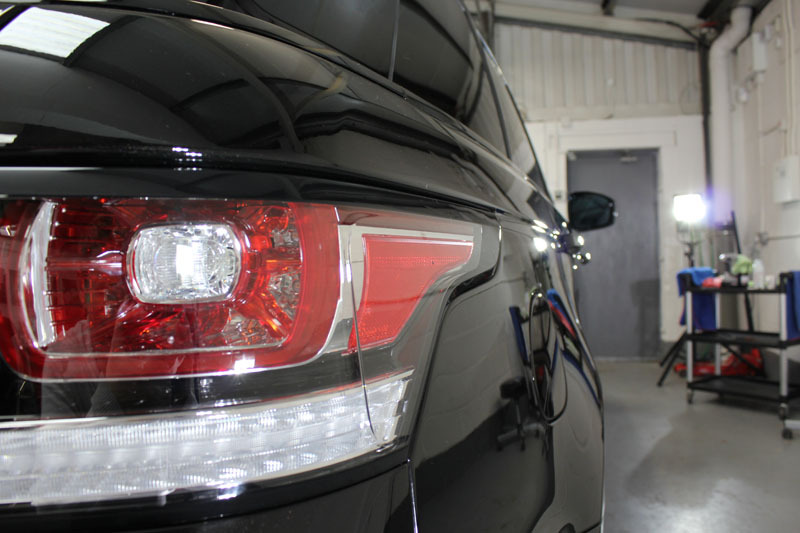 Finally the vehicle was rinsed clean and then given a final rinse using an Aqua Gleam De-Ionising Water Filter – a pure water rinse system which neutralises those impurities in the water which cause water spot marks to form. 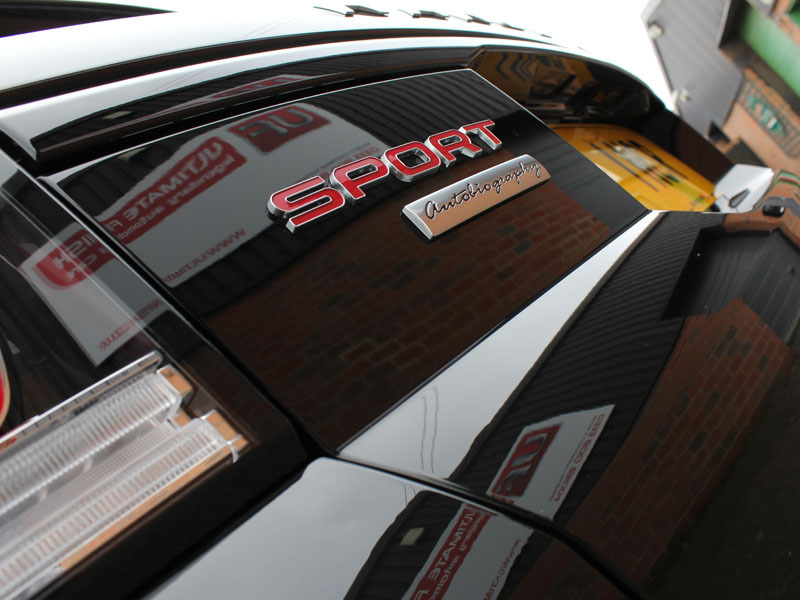 The car was then dried using a soft Gtechniq Zero Scratch Microfibre Drying Towel. 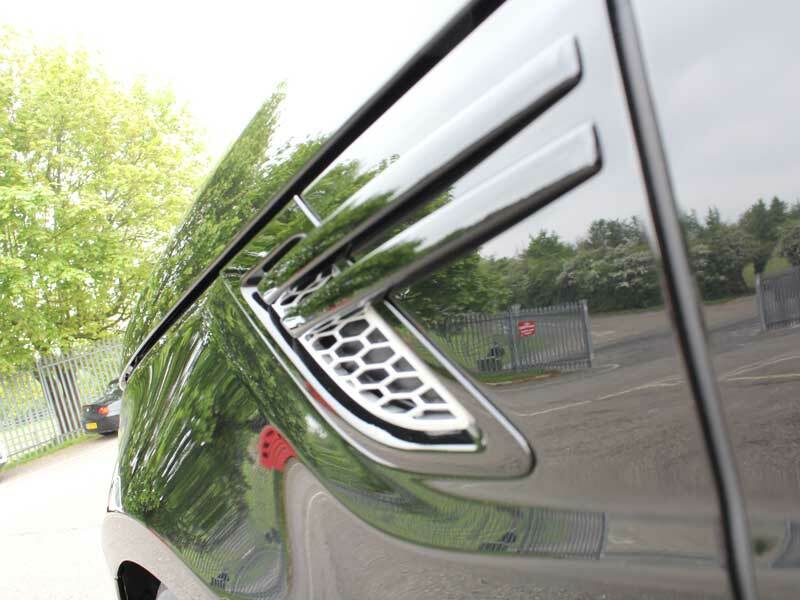 Next, to ensure the paintwork was completely free of any bonded organic contaminants such as tree sap and tar, the bodywork was cleansed using a Bilt-Hamber Auto-Clay Original clay bar. 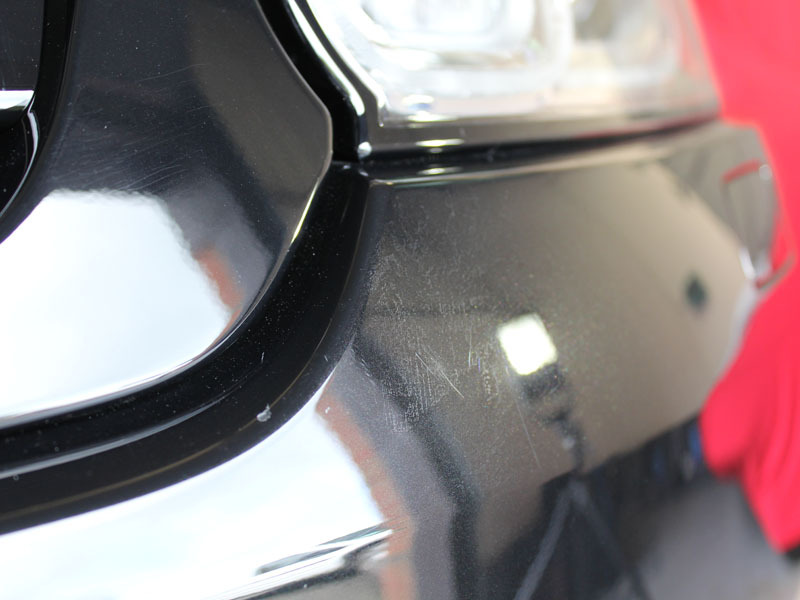 The Range Rover bodywork was now ready to be machine polished and then protected. 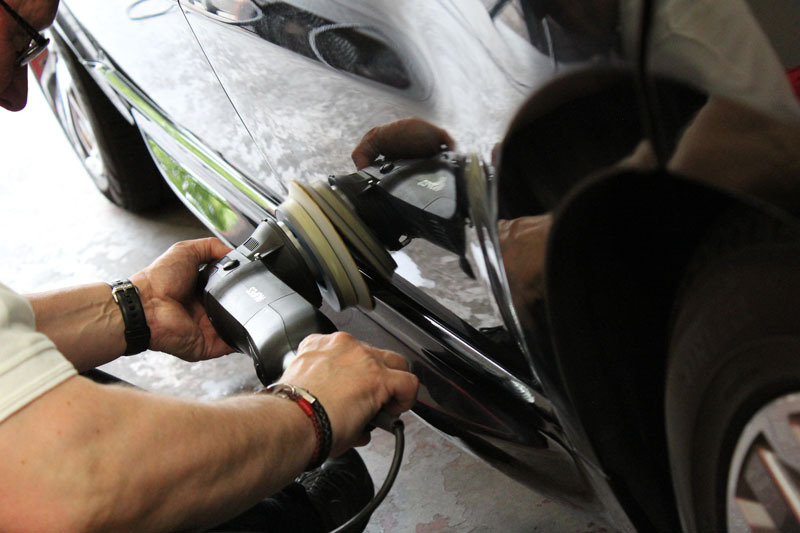 Using the RUPES BigFoot LHR15ES, a RUPES Yellow Finishing Microfibre Polishing Pad and POLISHANGEL Esclate the bodywork was refined and prepared for the protective sealant layer. 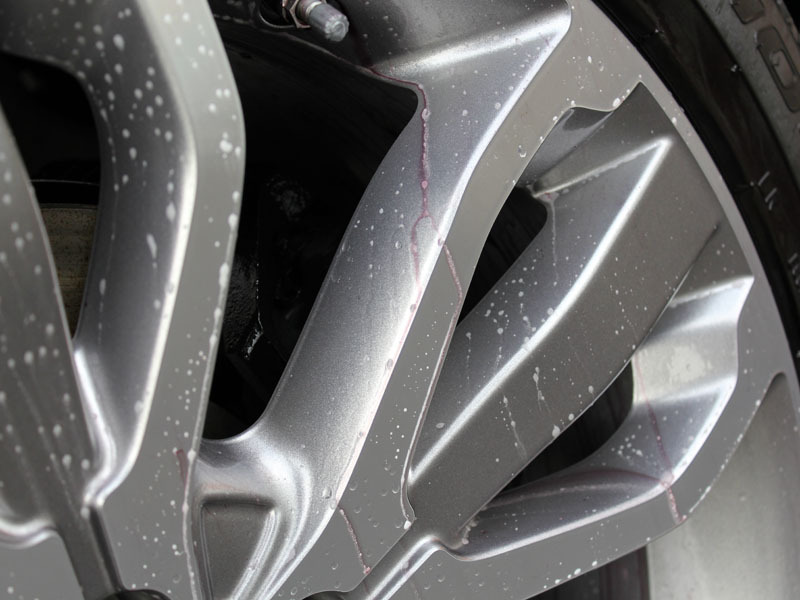 POLISHANGEL Centurion is an innovative wax creme containing colour-charged carnauba flakes which actively enhance not only the gloss of the paintwork but also the colour. 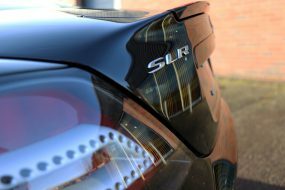 It contains silica dioxide and reduced titanium dioxide which form a tough, UV resistant and water repellent barrier, protecting the paintwork from UV fade and forcing dirty rain water to bead and blow away from the surface. As a final step and to aid longevity, POLISHANGEL Viking Shield was applied by hand and buffed off using a UF Microfibre Buffing Fleece. Designed for the harsh Nordic winter, Viking Shield provides an exceedingly durable barrier against the elements, giving unparalleled long lasting protection. The interior glass was cleaned using POLISHANGEL Cristal Agent and then the exterior glass sealed using Gtechniq G1 ClearVision Smart Glass. 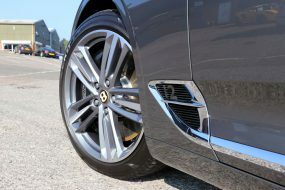 Finally the twenty one inch wheels were protected using Gtechniq C5 Alloy Wheel Armour, a temperature resistant sealant which inhibits brake dust adhering to the surface of the wheel. 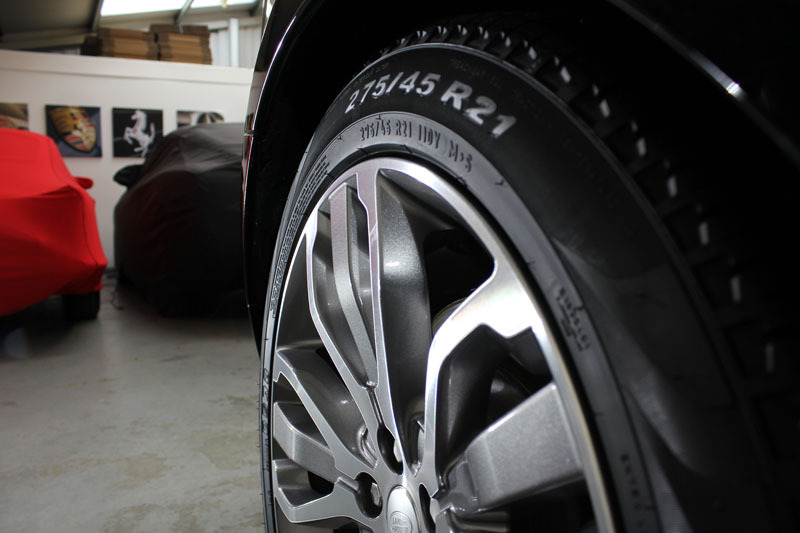 The tyres were treated to a layer of Gtechniq T1 Tyre’n’Trim to leave a clean, natural look shine. 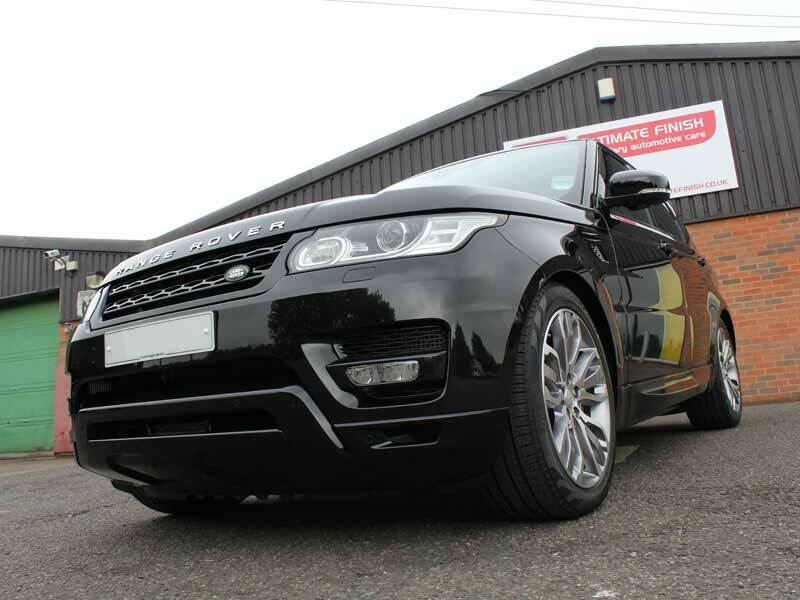 Once finished the Range Rover Sport Autobiography looked absolutely stunning, and thankfully it wasn’t raining when the very happy customer collected his car! Ultimate Detailing Studio – Award Winning Detailing. 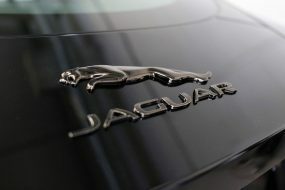 Call 0845 838 1200 to discuss your requirements and arrange a free vehicle appraisal.